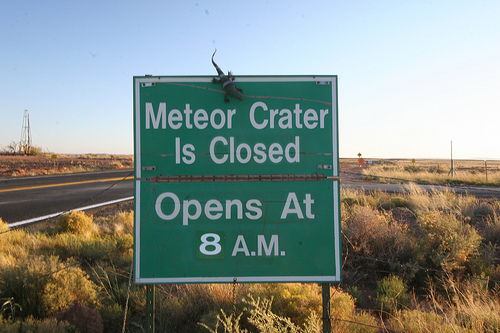 June 30th, 2011 - Meteor Day! - click here for a fun photo. Click here for meteor ride at a fun fair. Click here for Shooting star of happiness. Peru Meteor populated with miniature life. Boy Smote by Meteorite as reported on slashdot.